TLDR: I got lost in Tokyo so built a tool to make travelling easier for others. 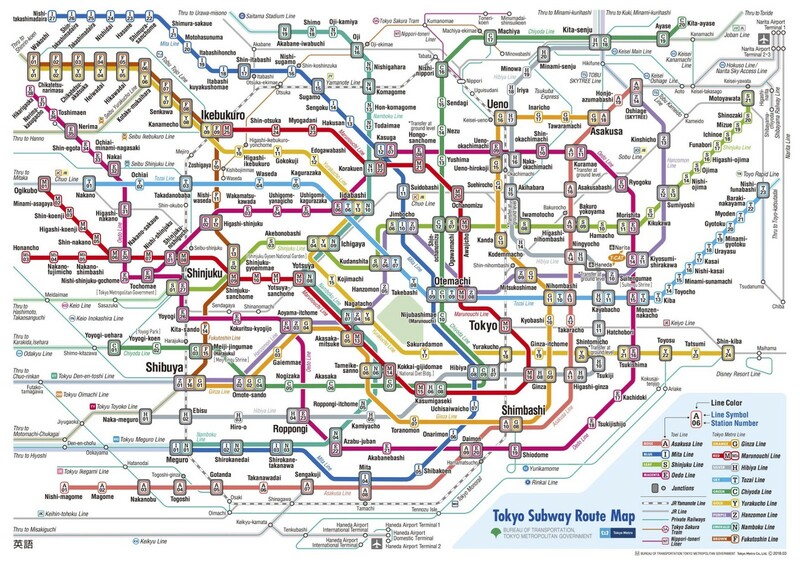 This is the Tokyo Metro subway map. Go ahead and absorb it for a moment. In Tokyo there are a total of 285 stations covering 189 miles and to make things even more complex the Tokyo subway is operated by multiple companies each with their own ticket and faring systems. Feeling overwhelmed yet? Stepping off a twelve hour flight and into the bustle of the Tokyo subway system, I felt a cocktail of emotions - bewilderment, excitement, confusion and a good dose of jet lag. In addition to trying to decipher this mega map, the language barrier proved rather difficult when attempting to ask strangers for help. I managed to stumble my way through an exchange with a very helpful person at Ueno Station who helped me find the best way to travel to my destination, Asakusa. Ok, I know roughly how to get there, now I just need to buy a ticket. Let’s see, what is this funny looking coin? How many of these do I need to pay for my ticket? How much is that in British pounds? I clearly wasn’t prepared. The ability to visit world cities is one of the greatest opportunities afforded to us in this modern age. I try not to take it for granted. Typically our time visiting foreign lands is relatively short, a few weeks, or sometimes just a few days, we have to quickly overcome culture shock and adapt quickly to the local way, wether that be the transport, food, money, geography or language. I was digesting my most recent trip on my flight back to the UK that got me thinking about this further. I’m a maker, I develop apps for a living and work on my own projects in the evenings. Can I address this problem? Maybe there’s something I could create that will aid me and others on their next trip. Could I build something? I could. What is the minimum value I could provide quickly that would be useful to somebody travelling to a new destination? As an experienced iOS developer my first thought was to build an iPhone app. Surely that would be useful to travellers and I know for sure I could build it. But that’s going to take me some time and I want to get the product built quickly so that I can get feedback from users and iterate on it. I settled on writing an email newsletter. I wouldn’t need to build anything complicated if I used an existing service like ConvertKit. All I would need to do is work on the content and make sure it delivers value. My concept is simple. You visit the website, select your destination city, enter your email address and click send. An email is sent to your inbox with a brief guide of essential travel information you need to get up and running in your destination quickly. That includes info about the local currency, transport options, airport details, useful local phrases and more. The content is short and to the point. It would be all the practical information without any filler. I’m able to provide great value and I haven’t spent any valuable time on design or coding. In fact I think these short guides work extremely well in email form. On your iOS and Android devices, typically your emails are stored and available even when you’re offline so when you’re out travelling you can simply open your inbox and quickly read the email. Why should I use Trip Noodle? Of course a lot of travel information is already available scattered across the internet. You have Lonely Planet, Trip Advisor, WikiTravel, Youtube & so many more resources. It feels like an endless sea of information is out there for us. For me personally, it’s simply too much to absorb. It’s for that reason I believe somebody will want what Trip Noodle offers. Cutting through the noise, distilling all that information overload into something easily digestible, that’s useful. I think back to my recent short break in Budapest, Hungary. It was a last minute trip. I hadn’t had a lot of time to research all the various things Budapest has to offer. I didn’t know the best way to get from the airport into the centre and I definitely didn’t know any Hungarian. A one page email, with essential information about the city would have been incredibly useful. If only I had the ability to skim the email at the airport before arrival I would be equipped enough to know the bare essentials. I would know how to say thank you (in Hungarian, it’s Köszönöm - Kur-sur-num). It would give me a rough idea how much to budget for food, the average price of a beer (hint, very cheap). That is where Trip Noodle can shine. At the time of launch, Trip Noodle covers five great cities of the world. Bangkok, London, Paris, Tokyo and Singapore. If you are heading to any of these cities anytime soon, I urge you to to check out the free guides (did I mention they’re free?) — in seconds, you will have essential information delivered straight to your inbox. Maker of tripnoodle.com - Free city travel guides by email. I love travelling, photography, tech & football (soccer).